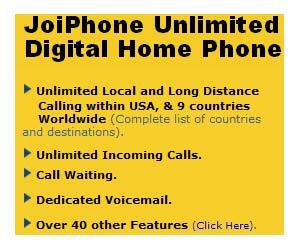 $8.95/mo for JoiPhone Unlimited plan with UNLIMITED Long Distance. This is the lowest price in the nation, and will save you alot of money. JoiPhone also have some of the lowest International rates in the world, and also offer free calling plans to 70 countries.